Ziagen (abacavir) is indicated in antiretroviral combination therapy for the treatment of Human Immunodeficiency Virus (HIV) infection in adults and children (see Clinical Trials). This indication is based on surrogate endpoints in studies up to 48 weeks in duration. 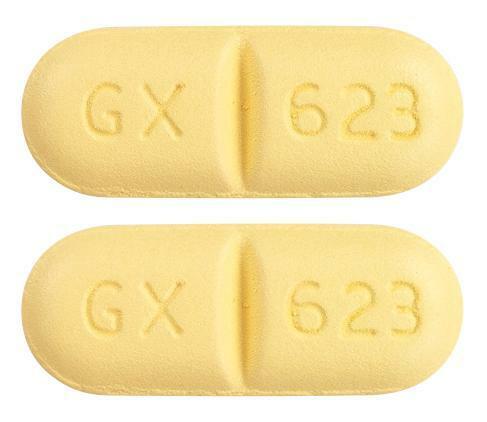 Yellow, biconvex film-coated scored capsule-shaped tablet, engraved with 'GX 623' on both sides. Clear to slightly opalescent, yellowish, aqueous solution with strawberry/banana flavouring.